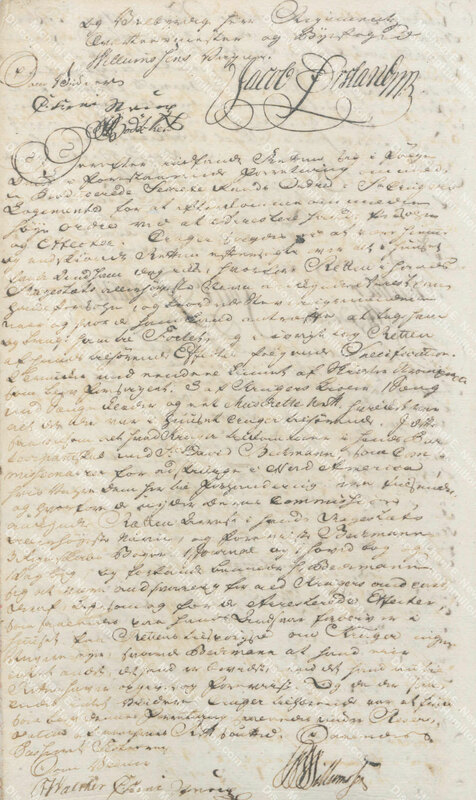 In one of this blog’s first entries, back in November 2017, I wrote about Nicholas Cruger’s “supposed duel” with John Heyliger and how this was “the earliest known case in which Hamilton had a personal interest in the outcome of what he and everyone else believed to be an affair of honor.” That post was based on an entry found in St. Croix’s Privy Council session register dated August 26, 1767. I have since discovered two additional legal records regarding this affair in the registers of the sheriff’s court of Christiansted, St. Croix. These records add additional information to this interesting story, including a clearer understanding of the timeline and more details about the “arrest” of the two offenders. 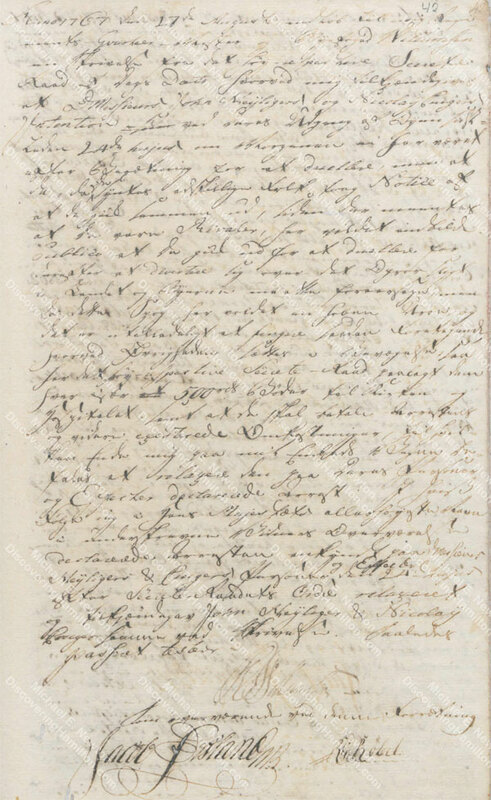 On August 24, 1767, the sheriff’s office received an order from the Privy Council regarding a reported duel outside of town between John Heyliger and Nicholas Cruger, which supposedly had been prevented by the arrival of Mr. Turnbull. The Privy Council’s order instructed Regimental Quartermaster and Sheriff Peder Bruun Willumsen to immediately “arrest” the offenders and their possessions. 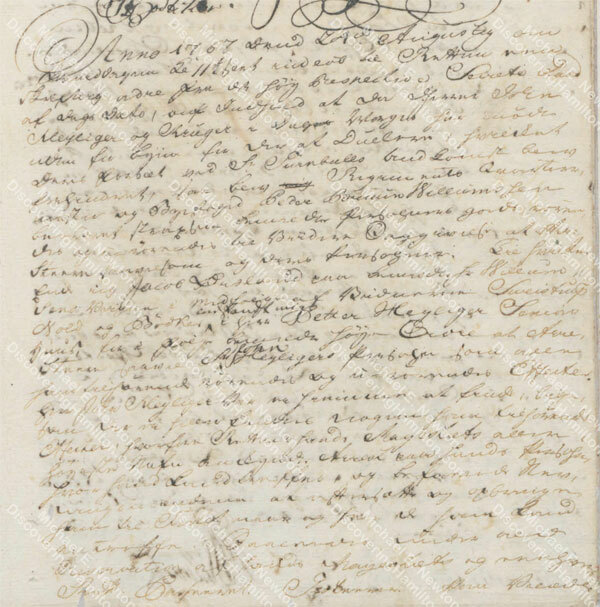 One Jacob Ørsland, on behalf of Willumsen, accompanied by witnesses, went to the house of Peter Heyliger, father of John Heyliger, to arrest the younger Heyliger and his effects. John Heyliger was not found at home nor were there any effects belonging to him there. 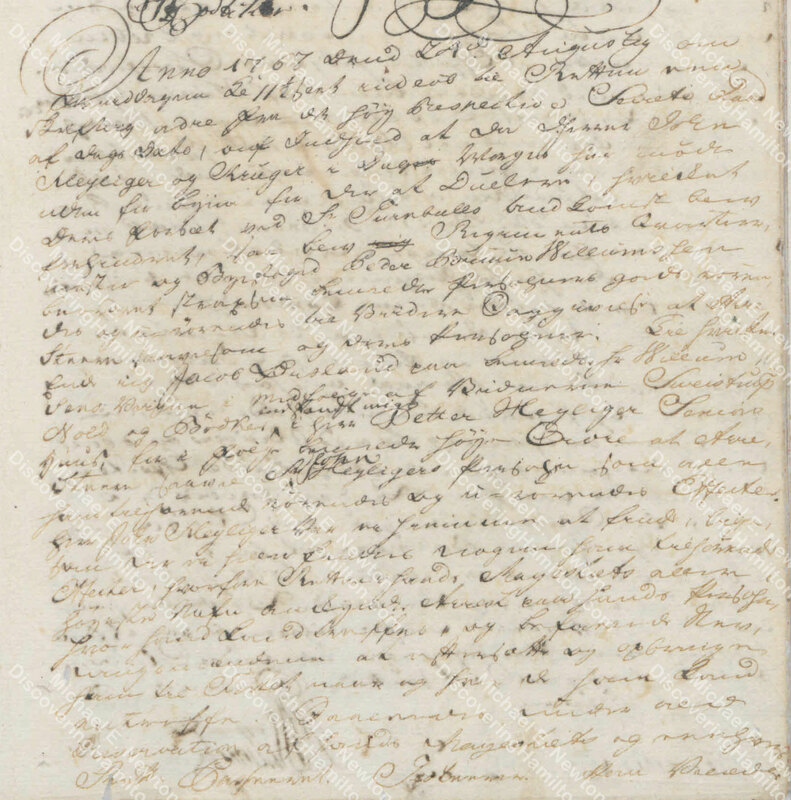 Ørsland proclaimed that Heyliger should be arrested and brought to the fort when he is found. Officers of the sheriff’s court also went to Mr. Cruger’s lodging to arrest him and his effects. They searched Cruger’s house but could not find him and declared him to be under arrest and to be brought to the fort when he is found. The agents of the court also took possession of Cruger’s effects, including linens, shirts, stockings, coats, a bed, bedding, and a mosquito net, which was all there was belonging to him in the house. While the agents were in Cruger’s house, Cruger’s partner David Beekman showed them their account books and declared himself responsible for Cruger’s share of the partnership. Three days later, on August 27, 1767, Sheriff Willumsen received a written communication from the Privy Council informing him that John Heyliger and Nicholas Cruger, in leaving town on the morning of the 24th, had not gone out to duel as reported, but that when they observed that several people had taken notice of their going out together and since it was thought that they were rivals, they decided to lead the public to believe that they had gone out to fight a duel, so as to amuse themselves over the uproar that such a thing must occasion in the country and the town. Because this joke aroused a great deal of concern and it was impermissible to set the authorities in official motion, the Privy Council fined each of them 500 rigsdalers, to be paid to the church and the hospital, and ordered that they should be liable for the expense of their arrest and other associated costs. Accordingly, the privy council ordered Sheriff Willumsen to “relax” the arrest on their persons and effects. With the addition of these records from the sheriff’s court, a clearer picture of Nicholas Cruger’s “supposed duel” now exists. Each of the two accounts contains information not given in the other. More specifically, the Privy Council record, which was dated August 26, had not stated when this “supposed duel” took place. The sheriff’s court records here clearly state that the event in question took place on the morning of August 24. The two records, combined together, also make clear that the privy council issued its ruling regarding Cruger and Heyliger on August 26 and that their arrest was relaxed on August 27. 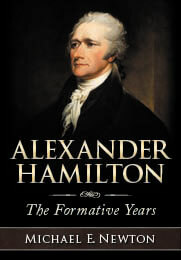 So now we know precisely when this interesting event in Alexander Hamilton’s life took place! These new records also detail the arrest of the two offenders and their possessions, including a list of Cruger’s effects. Although the Privy Council record, as written about earlier, has more details than that of the sheriff’s court, these new records certainly add color to the story and give a more complete picture of what took place. I will be lecturing about Alexander Hamilton’s Revolutionary War Service on Thursday, June 7, 2018, in Johnstown, NY. This lecture is part of the American Revolution Mohawk Valley Conference of June 7 to 10, which features many other leading historians. Registration is still open, though the bus tour has sold out. © Posted on May 29, 2018, by Michael E. Newton. Please cite this blog post when writing about these new discoveries.